These Applied Chemistry majors from Ateneo put up a business selling color-safe, non-toxic stain remover. Almost everyone’s been a victim of this: clad in an immaculate white shirt, you indulge in a sumptuous meal then, right after the break, you find yourself with a stain on your shirt. While this is more likely to happen to kids, anyone can have this mishap, from teens to professionals even. Students Page Sy, Alyssa Pang, Maria Tan, Katrina Echon, Enrique Yusingco, and Regine Lee, all of whom are taking up Management of Applied Chemistry at the Ateneo de Manila University, have found a solution to this problem. Tidy Heidy is an instant stain remover for food and beverage stains, from ketchup to coffee. The group came up with the product, thanks to the Ateneo School of Management Business Accelerator (SOMBA) program, which is offered to students who wish to start their own businesses, and they will be guided by business professionals who have experience in the field. “Our course is directed to train individuals in incorporating chemistry in the process of product innovation and ideation. We have always wanted to start our own business, so we wanted to make the most out of this opportunity, to make something happen for ourselves,” Sy said in an interview with Entrepreneur Philippines. The formula comes in 19-milliliter (ml) bottle droppers and promises to be color-safe and non-toxic. And given its compact size, it is also handy. Currently, the product is available through their online store and through merchant Lazada Philippines. Tidy Heidy sells for P95 ($1.99) per tube, or P350 ($9.53) for a set of four. The brand’s name, Heidy, was actually named after Sy’s mother, to encapsulate the motherly care the product provides as it serves as a saving grace in times of stain troubles. “We wanted to use a mother’s name to reinforce the idea of a ‘mom-in-a-bottle’ product. Often, when we were kids, when something bad happens, we instinctively call our mothers for help or advice. We wanted our product to resemble the support that a mother would give to her child,” Sy shares. NIFTY PRODUCT. 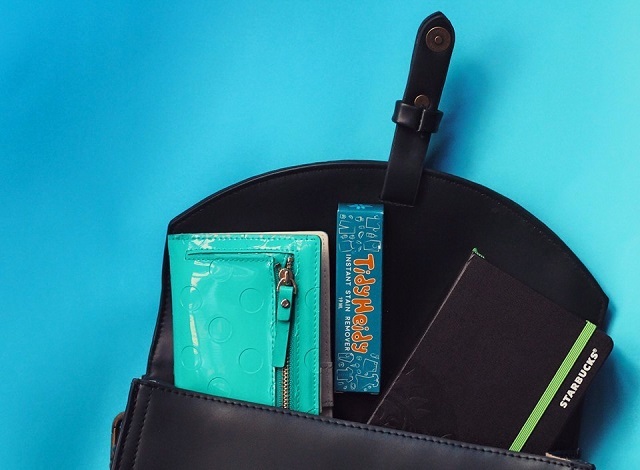 Tidy Heidy comes in handy 19ml bottle droppers, which can easily fit in any purse or personal kit. Photo courtesy of Tidy Heidy. Using an initial capital of P135,000 ($2,828.11), which was pooled from their personal savings, the group was able to do research, production, marketing, and sales. Since the brand was put up in July 2015, the group had also participated in various bazaars all over Metro Manila. “Research and development is difficult when you don’t have a lot of funds to experiment with but we were elated by the bazaar experience. Not just because of the money that we were able to make there, but also because our product was successful and another person outside of our company believed in it. It felt great when our ideas were validated by an actual customer,” Sy shared. Their product may be a savior during times of stain trouble, but the path the group took to reach this stage in their business was no easy trek. The students were often met with doubt by some customers, who assume that they just put up the business as a raket or as a school project, on top of other requirements that they have to accomplish for their course. “There is definitely a lot of time management needed in order for things in this company to run smoothly. As there are six of us in the team, there is a distribution of tasks. All of us in Tidy Heidy are team players,” Sy said. As of late October 2015, the group has sold more than 1,500 bottles of their stain remover. 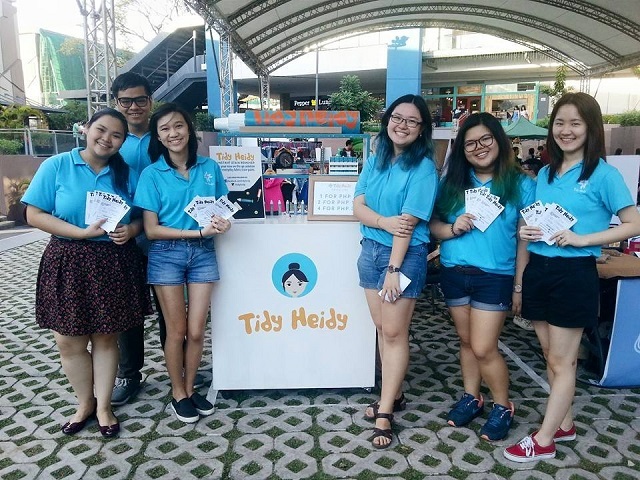 Currently, the group is also in talks of bringing Tidy Heidy to different establishments, such as restaurants and even hospitals.